On World SBK race weekend at Laguna Seca the Ducati 1299 Panigale R Final Edition was not the only Motorcycle that was presented. MV Agusta also showed new things. – The Brutale 800 America. MV is concentrating more and more on the existing model and to bring it into the market as a special model. That is what their customers want, argues the Italian company. As reported, recently launched its RVS program, which focuses on customized models. At the Brutale 800 America is actually only the paint new. In this color it is limited to 50 pieces. The price difference to the standard model is 1500 dollars. The financial problems of MV Agusta are the result of a large financial account of the Black Ocean Group. But is this the right way to concentrate only on exclusive special models or should finally come again something new? 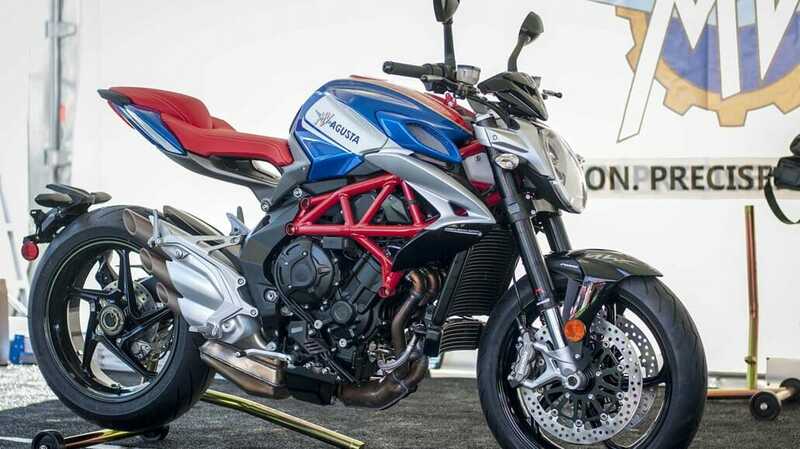 After all, MV Agusta is a motorcycle manufacturer and not a customizer?